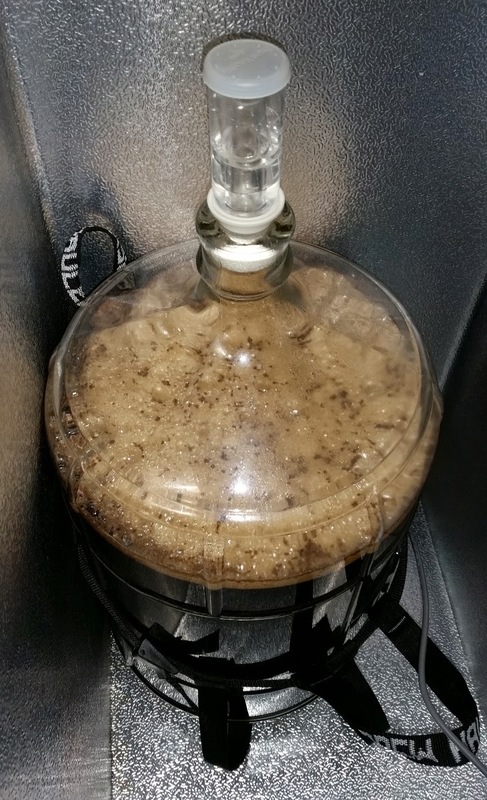 The “Live Long And Porter” is fermenting vigorously, barely 40 hours after pitching the yeast. Many of the online reviews for WLP051 (California Ale V yeast from White Labs) noted a strong sulfur aroma during fermentation; they weren’t kidding! It’s a genuine rotten eggs smell in the chamber. We’re fermenting along at between 66° and 68°; another week, and it’s into the keg with this one! This entry was posted in brown porter, fermentation, porter and tagged Live Long And Porter, LLAP. Bookmark the permalink.